Matrix Software has a close and active relationship with technical universities, technical colleges and technical high schools. Our contribution to educate professionals is providing professional software and training courses for free or at low costs. We have software for free for students to use on personal computers. And we have full licenses for use within educational institutes. 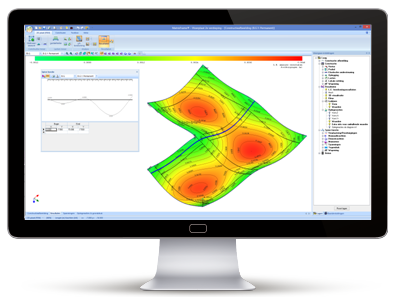 Mechanical analysis: calculation of forces and deflections of 2D and 3D member structures. Free version for students, for use on personal computers. 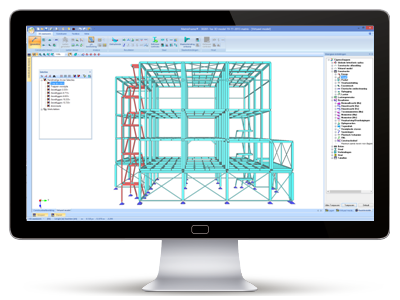 Structural analysis for forces and deflections of 1D, 2D, 3D member structures and FEM plate and wall structures, including codecheck for concrete, steel and timber according Eurocode. Also included: 40 calculation tools for detail analysis of concrete, steel, timber and masonry structures. For use inside technical universities and technical schools.